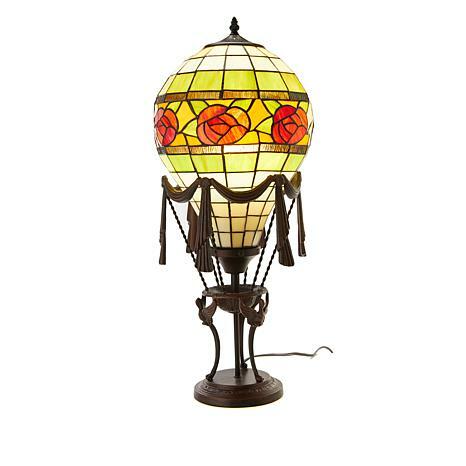 This accent lamp features a whimsical hot air balloon shade with pretty rose accents reminiscent of classic Louis Comfort Tiffany designs. 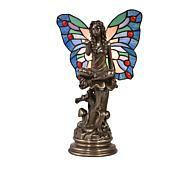 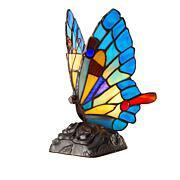 Made with hand-cut stained glass, it's a very pretty piece that's sure to please. 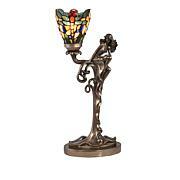 The detail of this lamp is beautiful. 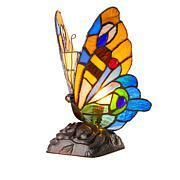 It gives off just the right light also.